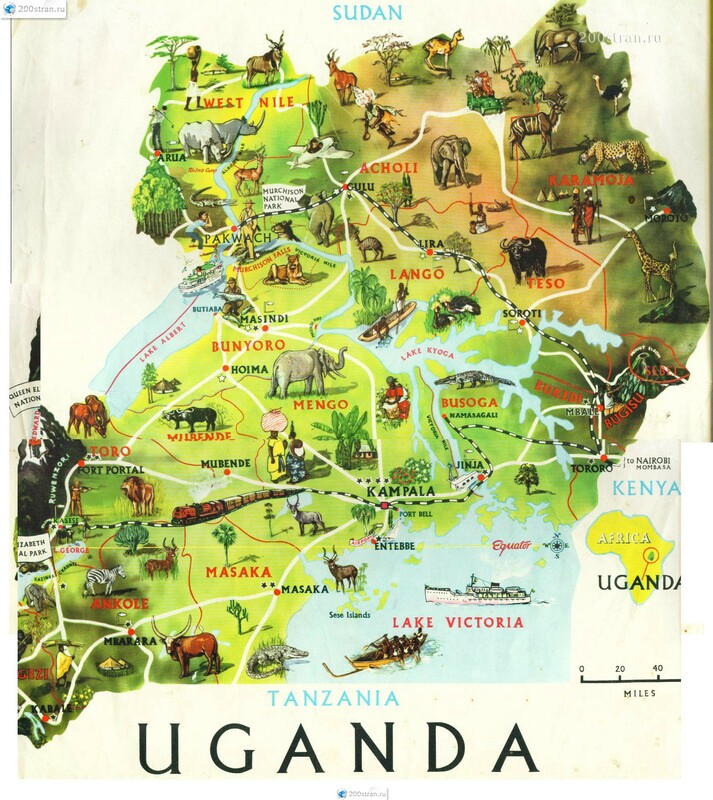 Uganda is located in the heart of Sub-Saharan Africa and lies astride the Equator. The total area of the country is about 241,000sq kms of which 44,000 are covered by fresh water. The country is land-locked and it borders the Sudan to the north, the Democratic Republic of Congo to the west, Kenya to the east, and Tanzania and Rwanda to the south. For the visitor, Uganda offers exceptional diversity combining some of the best features that Africa has to offer. Uganda lies at the overlap between the tropical East African Savannah and the West African rain-forest zones. Uganda is blessed with contrasting physical features ranging from extensive plains and spectacular flora and fauna. Uganda's altitude ranges from 620 metres to 5,110 metres above sea level. There is very little seasonal variation in the climate, which is warm and fairly humid. There are two rainy seasons from mid-march to the beginning of June and from end of September to December.